Although the California Gold Rush interrupted the growth of Sonoma County for a year or two, it did attract large numbers of potential settler to the state. From 1848 on, animal trappers and hunters came to our valley for ducks, geese, elk, deer, and other animals to feed these new arrivals. Although there wasn’t any settlement to what is now Petaluma, the area brought people like F.A. Heyermann, Frederick Starke, and Tom Lockwood who built a hut near the present Lakeville Street Bridge. Over time a log cabin was built and a permanent settlement slowly evolved. Families started to arrive during the winter of 1852-53, and Garrett W. Keller hired a surveyor, J.A. Brewster, to create a map of 40 acres in the current downtown area of Petaluma. All these new settlers celebrated the Fourth of July, 1852, with a party that lasted three days. By 1855, the population had grown to several hundred. House were built, along with hotels, stores, churches, and bars. Petaluma’s first newspaper was published on August 18, 1855. 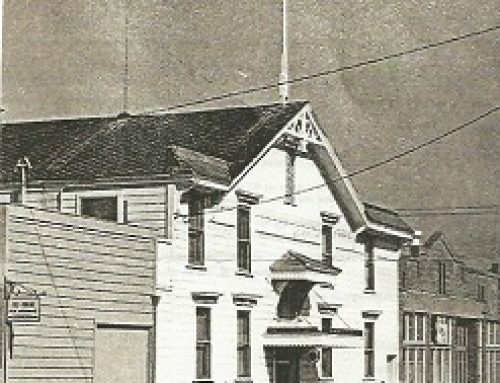 Petaluma had become a real town and was incorporated in 1858. All of these local events were “significant” and took place because of a larger state event of greater historical significance – the discovery of gold in California. Stay tuned for additional historical events of significance to early Petalumans.